Richmond is an amazing place to cycle and walk. We’re already a healthy borough with some of the best cycling numbers in London and we’re one of the boroughs where residents are most likely to have cycled in the last week. This year, every major party in the borough committed to a high quality ‘Liveable Neighbourhoods’ bid. This is an opportunity to get millions of pounds of TfL money to invigorate part of your ward and we’d love everyone to take part. Cycling and walking (‘active travel’) is also one of the cheapest but most effective things you can do to make your ward a better place. Since 2000, a variety of different measures have appeared in the borough, focusing on making our streets nicer, safer, less congested, and less polluted. These have come from both Conservative and Liberal Democrat councils and councillors, and we’d like this to continue. But we need your help and so do your constituents. There are a lot of things that can be done in the borough and we wanted to share just some of the options that are available to you. Everything you see below is part of the Mayor’s Transport Strategy – you can read a huge volume of important evidence here. By helping to deliver for your borough, you’ll be making it a healthier, cleaner, quieter, safer place for everyone, however they travel. All the parties seem to agree that it’s finally time for 20mph in Richmond and it’s our understanding that planning for a consultation has already been largely done. We, and many other community groups, are very keen to see this go ahead. Slower speeds on our roads have all the benefits that you might expect – improved air quality, safer streets, calmer streets, easier crossings, safer cycling. We know there’ll be a consultation after the summer, and we urge you to support 20mph across our borough. Every school in our borough could benefit from less traffic at dropping off and picking up time. Persuading as many people as possible not to drive at these times will have a beneficial effect on the congestion the borough experiences. ‘Filtering’ is the act of blocking a street so that it filters out one type of traffic – usually motor vehicles: filters allow streets to be used by people walking and cycling but prevent motor vehicles using them as a through road. They can be permanent and they can be temporary. In the borough, we have lots of streets – like this one – which have been closed to through traffic. A recent problem is the growth of apps like Waze – which basically enables people to use all the quiet back roads and calm streets in your area as rat runs. 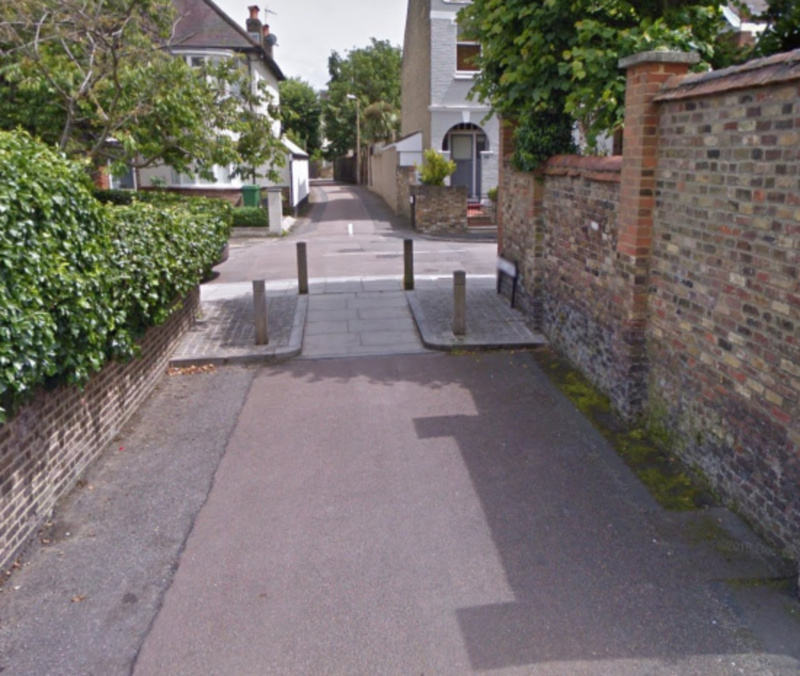 Filtering is one way to make sure residential streets stay residential and also make them places where people are more likely to walk and cycle. 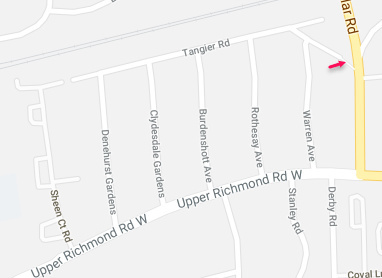 This little group of roads (image below), with the South Circular at one end, shows the benefits of filtering: because you can’t use them to get to the South Circular, the only reason to drive here is to get to your home, meaning they are quiet and calm virtually 24/7. If we want more people on bikes, we need to be sure we’re making it possible to store them somewhere safe and convenient. This applies both to places like stations and town centres, and homes. 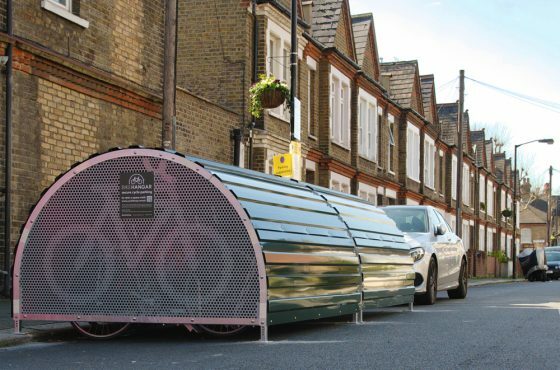 In other boroughs, there are dozens of locked, overnight shelters available so that people don’t need to drag their bikes through their house or flat, and so that they can store it out of the weather. Under the previous administration, these ‘cycle hangars’ have slowly started arriving. You can see how many some boroughs have by looking at this map – each shelter holds six bikes, and perhaps the best way to think of them is this: every bike which is easily accessible is a journey someone is less likely to do in a car. The council has a list of people who’ve already asked for something like this, and we need your support to make sure they go in! We think people walking is a good thing and we’re sure that you do too. So one of the things we’d like to see is the use of continuous footways. Here’s one in Waltham Forest: it doesn’t stop people driving into the road, or exiting it, but the priority is for pedestrians. Transport for London has been doing a lot of work looking at how people travel and how they might travel. They’ve identified a series of routes in London which they think have the opportunity to carry significant volumes of cycling traffic. These are a number of these routes in our borough: they not only support commuting by cycle but also people getting around the borough. We’d like these routes to be prioritised for walking and cycling as a matter of urgency and we need your support for this. We know some councillors have already received enquiries about these. London Cycling Campaign supports almost anything that encourages more people to use bikes to get around and dockless bikes (like Ofo, who have a trial contract with the borough) definitely fall into that category. We’d urge everyone to sign up for this – even if you don’t use the bikes, the app is a great way to report bikes which have been left in the wrong place. You can also suggest good locations for the bikes to be parked, by using this link: all the bike providers operate a ‘reward’ system which encourages people to leave bikes tidily and in the right place. Major funding from TfL is currently focussed on councils who make a ‘Liveable Neighbourhoods’ bid. As part of the election, all the parties in Richmond committed to making a ‘high quality’ bid. This is a great opportunity for every ward in the borough because a successful bid can be for a town centre, a residential area, or a specific route. 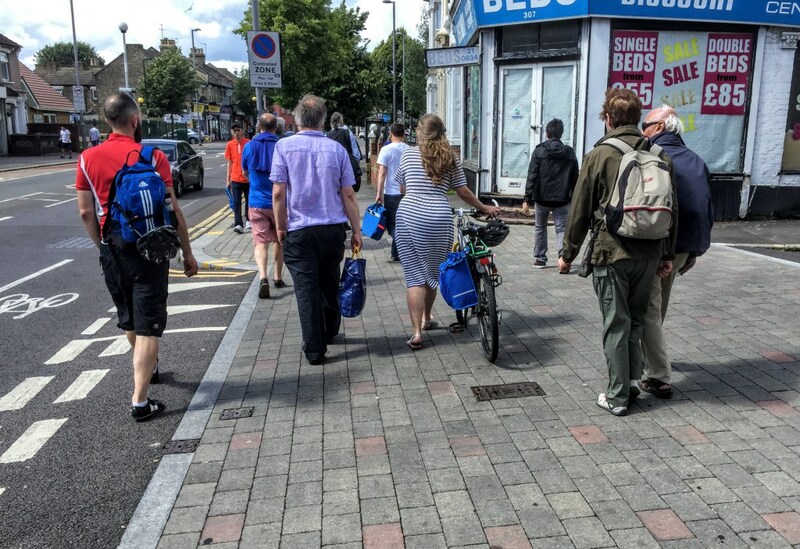 We know that getting the public on board for walking and cycling schemes is absolutely crucial. There’s a lot of best practice now available from other boroughs and from TfL, as well as committed funding specifically for public engagement in Liveable Neighbourhoods. ‘Bikelash’ is a real thing and we’re keen to make sure it doesn’t hold us back, so we would urge you to reach out to us, to officials, and to supportive groups like LCC, Living Streets, 20s Plenty, Sustrans, Cycling UK, and all the others who can help with this.